most of the schemes worn by these aircraft. with the older F.3 kit or wishing to convert this kit into the T.5. aircraft and two grey aircraft. 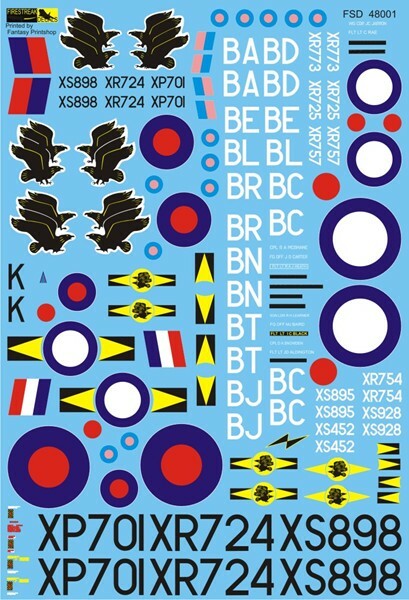 If using the kit roundels you’d be able to build another green/grey camouflaged aircraft and another grey aircraft. for the pilots/ground crew where applicable.